Aim High Dance Academy are HIRING!!! Aim High Dance Academy is a Dance school based in London, United Kingdom. The academy specialises in Street Dance and offers a wide range of different dance styles and techniques such as ballet, tap, modern, contemporary and freestyle (disco). Our mission is to provide an environment where learning both dance and life values go hand in hand and where each participant can become confident in his or her efforts and successes. We encourage all students to set targets, work hard, aim high and take pride in their efforts. 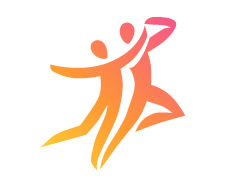 Our purpose is to provide a group environment that would promote leadership, teamwork, creativity, self-expression, discipline, physical fitness, and development of dance technique, providing dance training in a fun, safe and educational manner; aiming to provide opportunities within the community to share their love of dance. We offer dance classes to anyone who has a passion, mentor those who would like to turn a passion into a career and entertain the community by showing the talent hidden amongst them. Currently we are aiming to expand our team, so we are looking for amazing, ambitious and committed dance and gymnastic teachers to join our wonderful team. It will be down to you to deliver exciting classes and parties for children, teenagers and adults, with our training we constantly developing our teaching skills. We have regular work on offer as well as cover work.